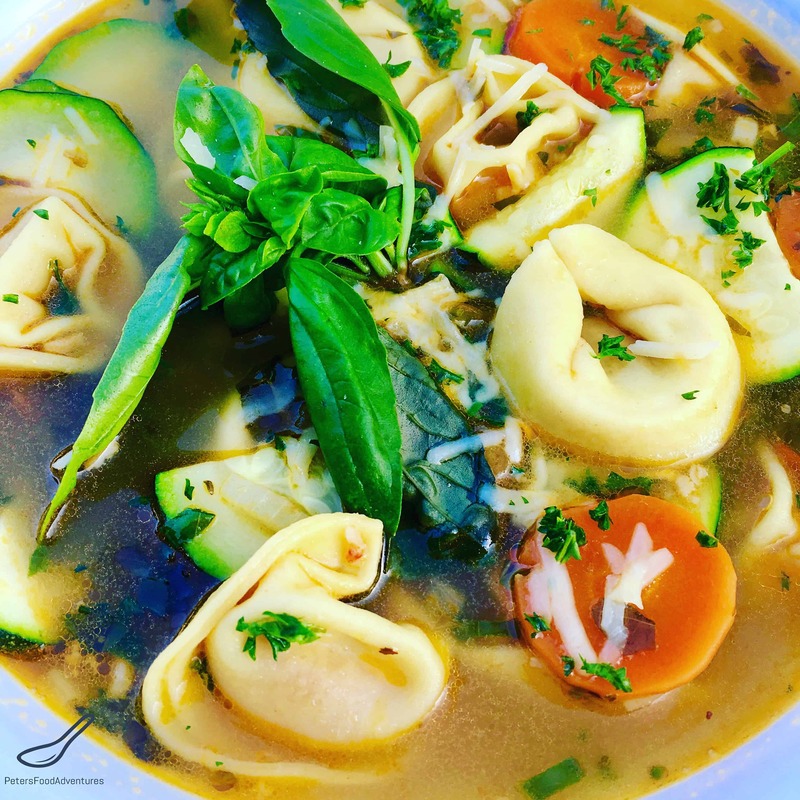 Easy Chicken Tortellini Soup is a fun way to enjoy delicious vegetable soup. You can add any garden vegetables that are in season to this soup. 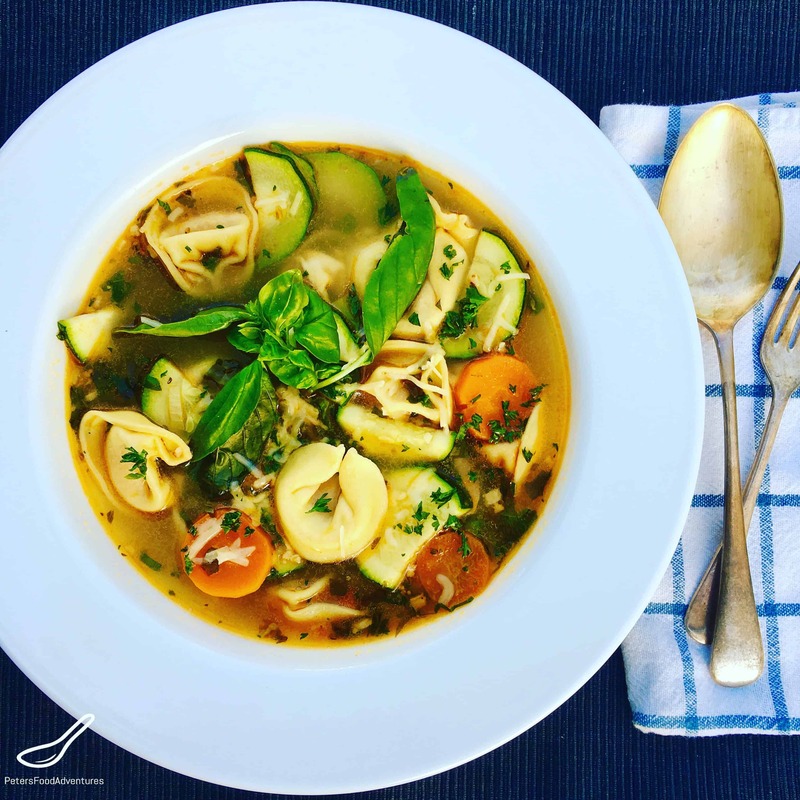 It’s really just a version of Minestrone Soup, but with added tortellini, taking it to the next level. 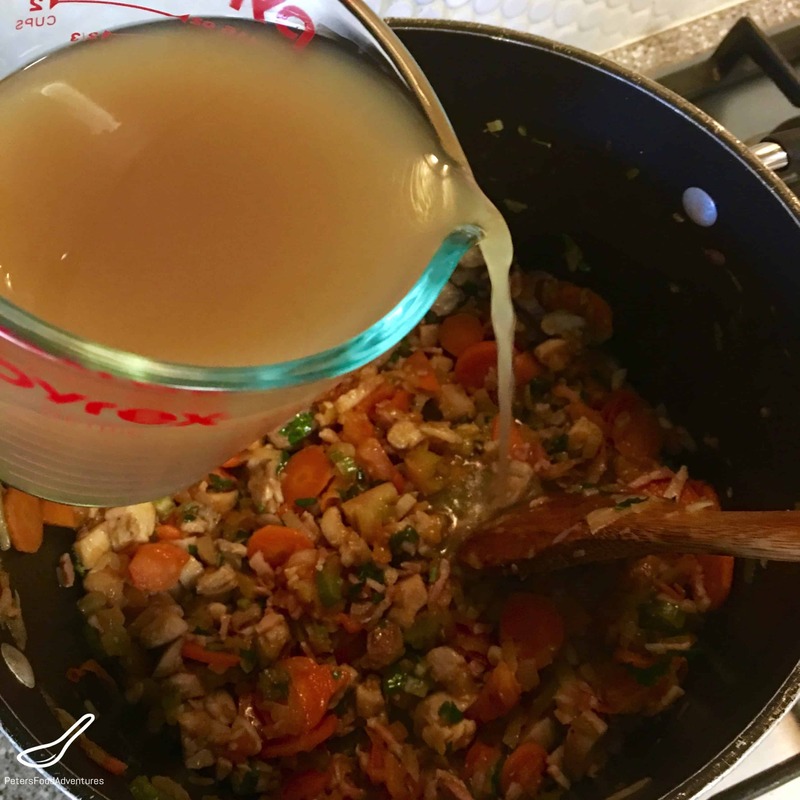 It’s always best to make chicken stock from scratch, but if in a hurry, use store bought stock. I love to use chicken thighs, as they are the most flavourful part of the chicken. However, some people prefer chicken breast, or when I’m in a hurry, I buy a roast bbq chicken and shred it. 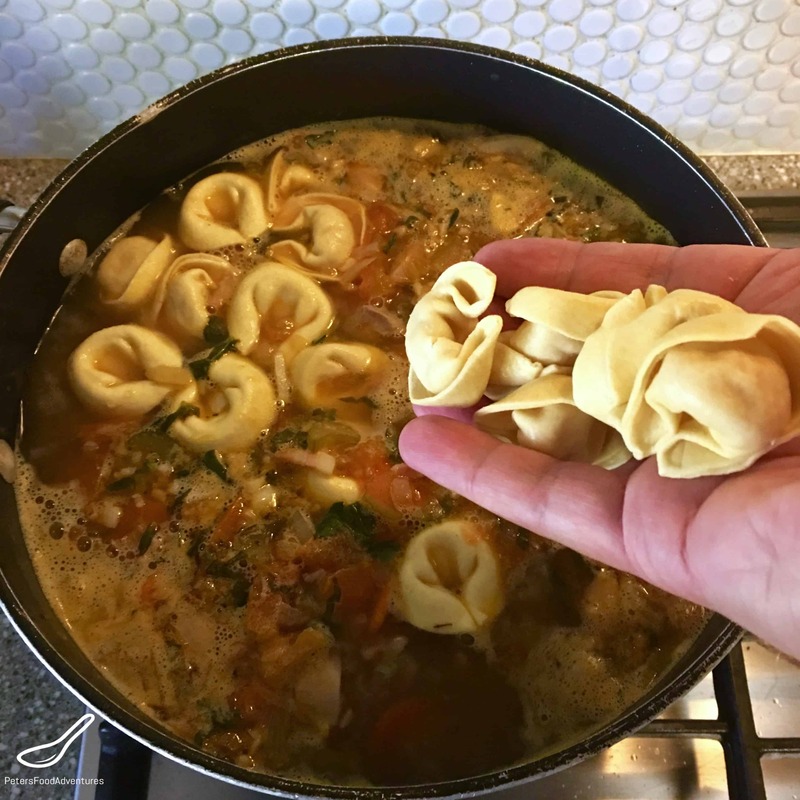 I love the subtle depth the bacon brings to my Easy Chicken Tortellini Soup, but you can leave out the bacon if your prefer. 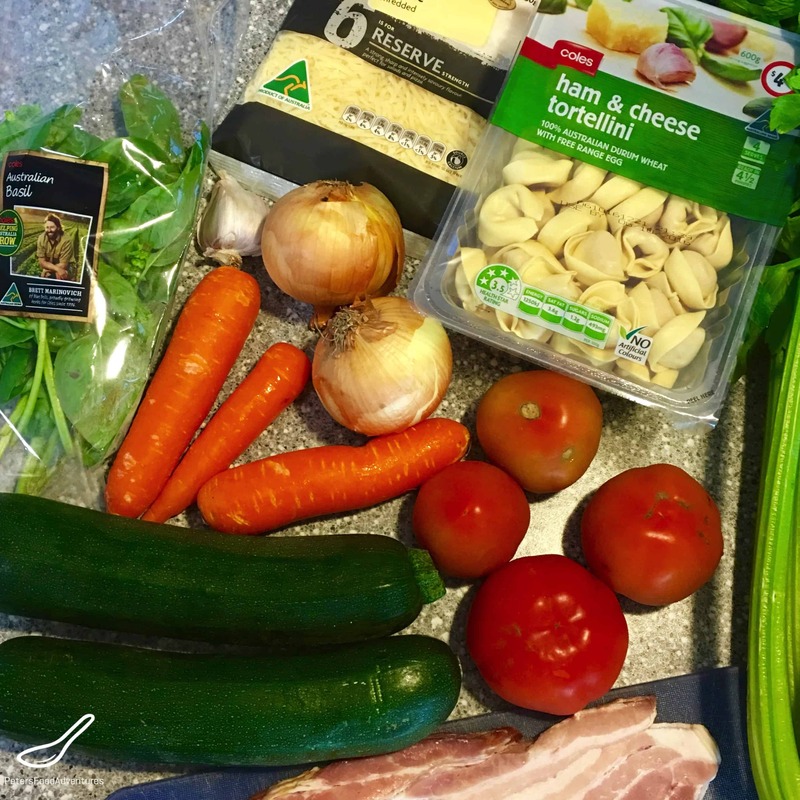 Easy Chicken Tortellini Soup with bacon and vegetables is a heartwarming soup, great in summer or winter. The kids love eating the tortellini, they don’t even notice the vegetables! Bon Appetit! Приятного аппетита! 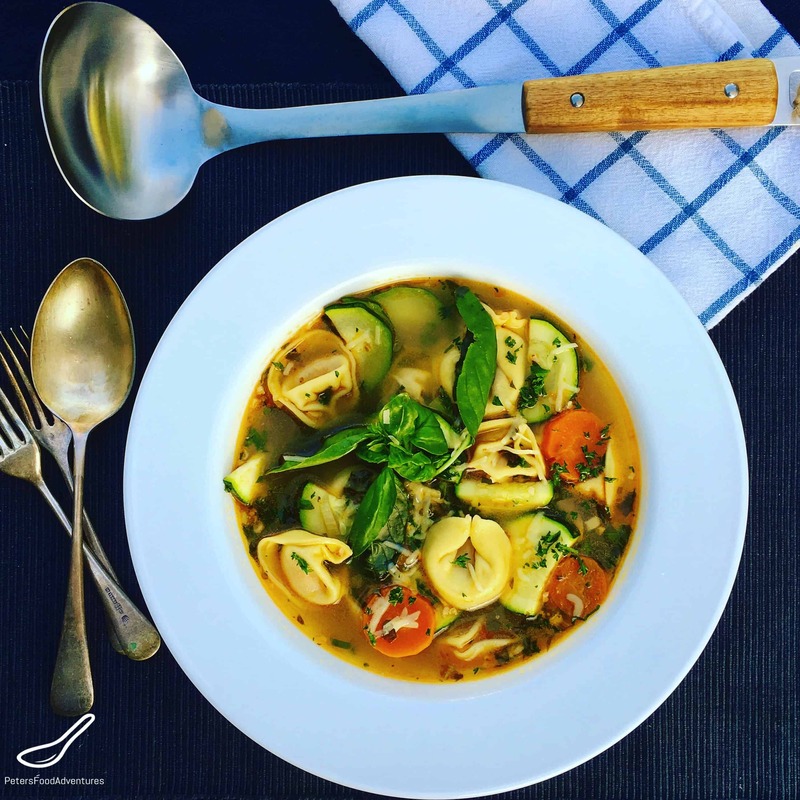 Easy Chicken Tortellini Soup with bacon and fresh basil. Delicious and hearty and loaded with vegetables. Heat oil in a large stockpot on high. Add the chopped chicken thigh pieces and fry until golden brown (about 7 minutes). Set aside. In the same stockpot, add the onions, bacon and garlic. Cook on high for about 5 minutes until the onions start to become translucent. Add the carrots and celery and cook for another 4-5 minutes. Add the chopped tomatoes, oregano and a handful of chopped fresh basil and cook for another 5 minutes. Lastly add the fried chicken thigh pieces back to the stockpot and mix together. Add the chicken stock and bay leaves to the stockpot and bring the soup to a boil. Stir in the tortellini and simmer for about 5 minutes. Add the chopped zucchini and cook until tender, about 2 minutes. Salt and pepper to taste. Garnish with fresh chopped basil, parsley and grated parmesan cheese. Can substitute chicken thighs with chicken breast or a shredded roast chicken. Very joyful and hearty soup! Thanks Lynne! 🙂 Easy and delicious!